When a customer hasn’t decided they want to hire you yet, but they’d like a little more information about the services you offer and what you charge, you may create an estimate, or quote, to present them with the details. 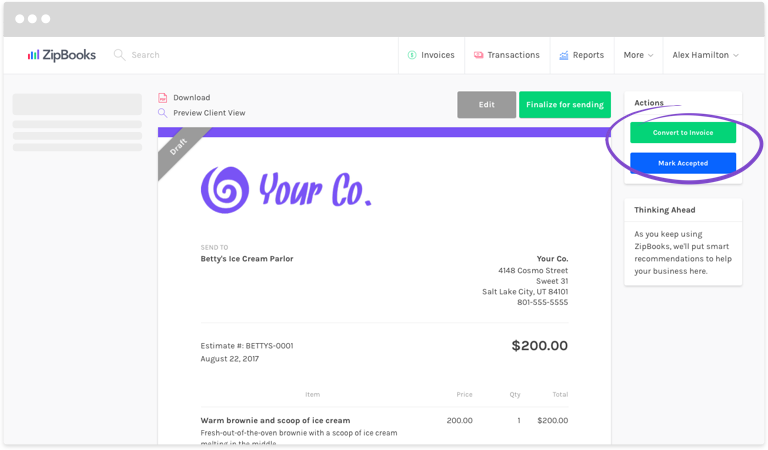 Sign in to ZipBooks and click on Invoices on the left side of your screen. On the same side, click on Estimates. Click on the round green ‘+’ circle to add an estimate. A blank form with yellow fields will appear. Fill in all applicable information at the top including Customer, Date, and Estimate #. Add Tasks (services performed), Rate, and Hours. Click the + Task button to add more lines. Add Items (products purchased), Price, and Quantity. Click the + Item button to add more lines. Include any Terms or Notes you want to appear on the estimate, along with a Discount, if applicable. Click the blue Save button above the form. 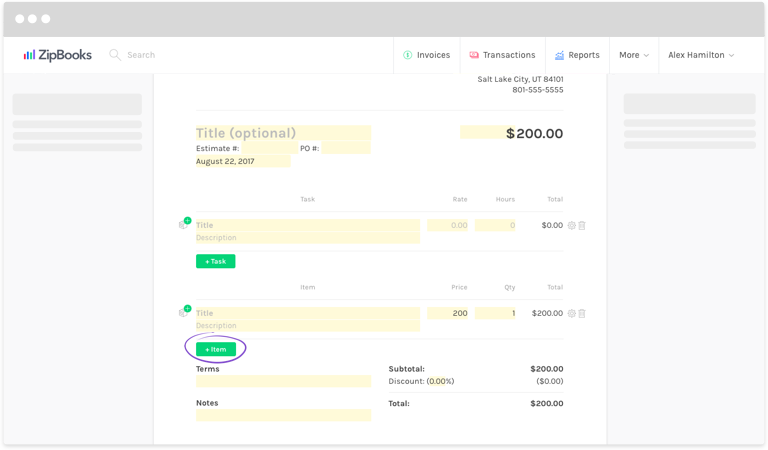 If you’re ready to send out your estimate, click Finalize for Sending and a pop-up window will open, allowing you to edit and send your estimate. Now, your estimate is complete! But, what happens next? Find the Estimate in your estimates list, and click on it. In the Actions box on the right side, click the blue Mark Accepted button. Click the green Convert to Invoice button, also on the right. And you’re done! 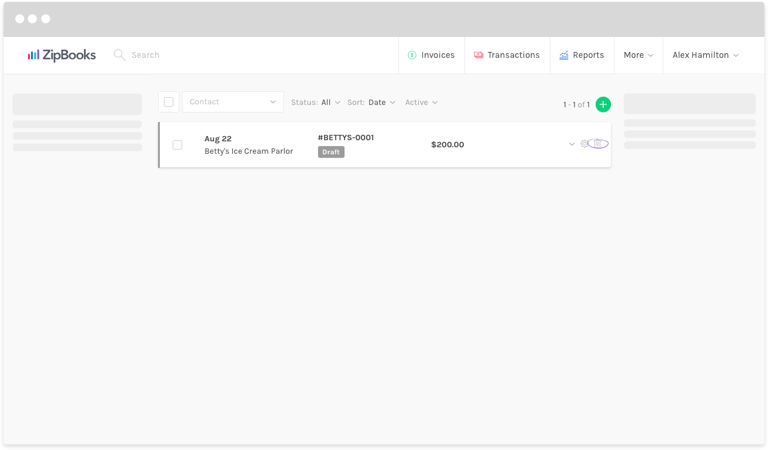 ZipBooks has instantly transferred that estimate to your invoice list. These actions are completed for your records only and do not affect the customer. However, when the customer receives your estimate, they do have the option to “Accept” as well. If they click this button, your document will already be marked as accepted and all you’ll have to do is convert your estimate to an invoice. Click the garbage can icon on the ride side if you’d like to get rid of it. Or keep it if you need to for future reference. Suggested next article: How do I accept payments through ZipBooks?